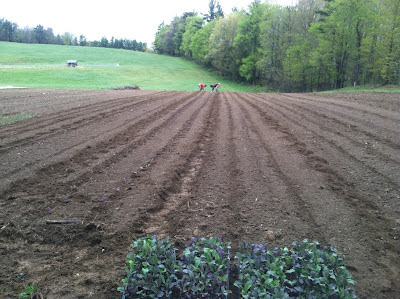 Earlier this week just before the rain, we planted out dozens of trays of seedlings. With plenty of moisture in the soil now, our beds of lettuce, kale, bok choi, kohlrabi, cabbage, and tat soi are all looking great. 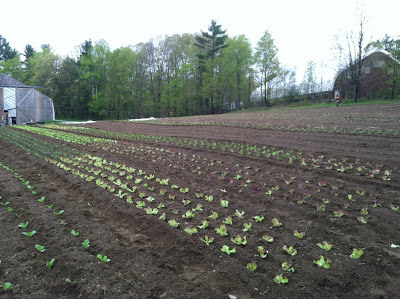 In the next few days, we’ll prepare more beds for onions, chard, carrots, beets, and potatoes. Our fields are filling up quickly! 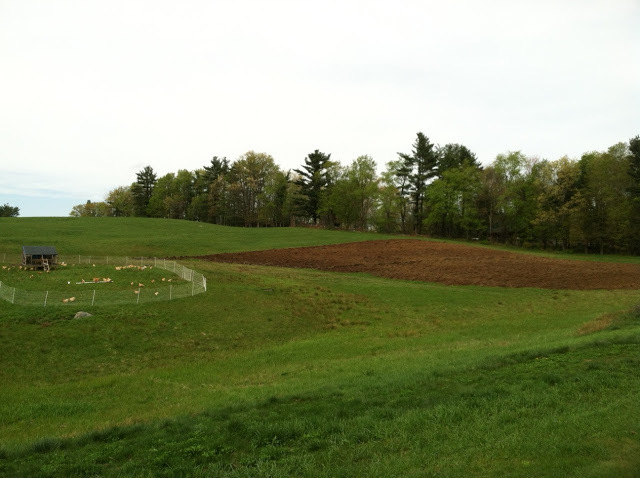 With the help of our neighbor’s plow, we opened up some new fields yesterday. One of the areas we turned over is the field where the chickens have recently been on pasture. 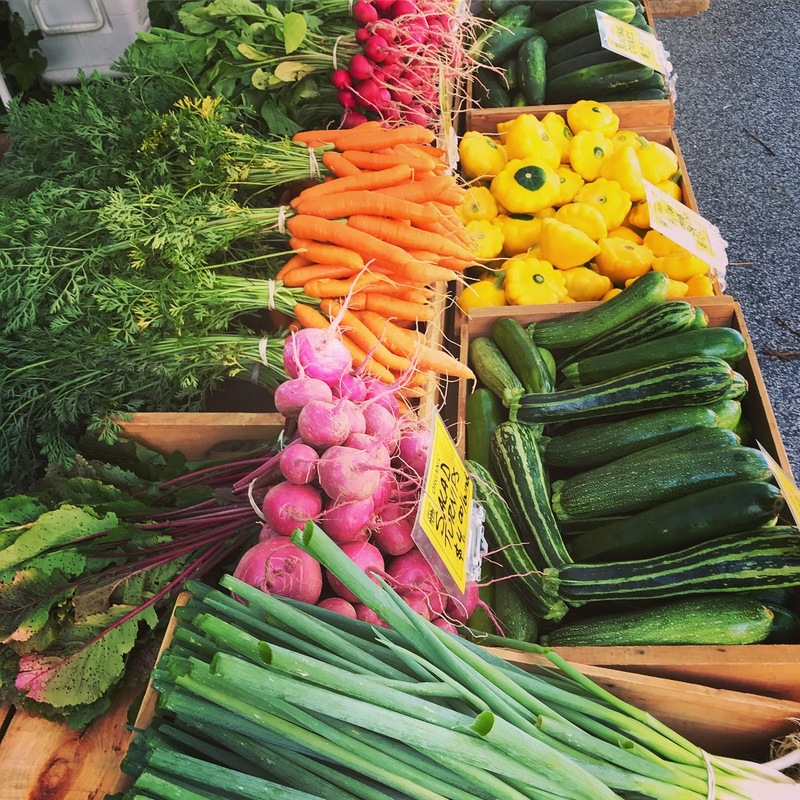 Exeter Farmers’ Market opens on Thursday!